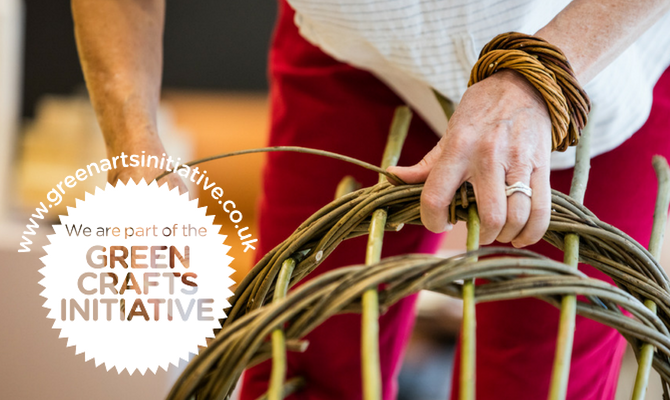 The Green Crafts Initiative (GCI) is a sister initiative to the established Green Arts Initiative and a joint project between Craft Scotland and Creative Carbon Scotland aiming to enable the craft sector to contribute green actions within Scotland's cultural industries. 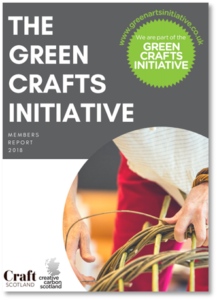 Makers and craft organisations based in Scotland are able to become members of the Green Crafts Initiative, which provides support and advice for crafts individuals and groups committed to reducing their environmental impact. Send a yearly informal report about their actions relating to the environment. Members will have access to an extensive range of website resources and case studies to aid in their fulfilment of these commitments, as well as the ability to contact CCS for one-to-one advice as they work together to put culture and the arts at the heart of a more sustainable Scotland. Do Not Dump It – Recycle It! Looking for a Sustainable Craft Supplier? Check these 5 things. In Spring 2018 we undertook a survey of our members to find out more about who they are and how they are trying to reduce their environmental impact. Take a look at the 2018 Members Report to get an insight into the community! Becoming a member of the Green Crafts Initiative is easy, quick, and free! Complete this form and we’ll be in touch. We will contact you to confirm your membership and to keep you up-to-date with everything Green Crafts! We will only share your information with Craft Scotland (as co-host of the initiative), and you can leave the community or update your details at any time. What is the name of your craft business/organisation/activity? What type of craft do you do? If you have a website, we will link to it through your listing on our Green Crafts Initiative members page. I/we will aim to reduce our environmental impact each year. I/we will strive to increase our monitoring and management of our environmental impact each year. I/we will send an informal report, at least once a year, on what environmental action we've taken. To find out more about our sister initiative for arts venues, organisations and companies (the Green Arts Initiative) click here. For any questions, comments or enquiries, please contact Catriona on catriona.patterson@creativecarbonscotland.com.